A great all around running shoe for peak bagging and trail running. The New Balance Summit Unknown is an updated version of the old New Balance Vazee Summit v2, and is a lightweight shoe with a minimal upper but a relatively large heel-toe drop of 10mm. Despite this, it doesn't feel high off the ground or unstable and is one of the highest scorers in this review. It is another shoe with minimal underfoot protection that emphasizes sensitivity and trail feel, lending itself better to fast running and missions in the high mountains where its sticky rubber can be put to the test scrambling over stacks of boulders. As the name would suggest, this shoe is an optimal choice for tackling the running summits of your dreams. For those runners who loved the Vazee Summit v2, rest assured that the Summit Unknown stays very true to the shape and feel of that shoe, so much so that it can be hard to tell them apart except by looks. On one day of testing, we set out to traverse a ridge between a number of peaks in Colorado and didn't realize until about halfway up the first mountain that we had accidentally worn the Summit Unknown on one foot and an old Vazee Summit v2 on the other. It provided for a great day of comparison testing, and the honest assessment was that these shoes feel virtually the same. For those new to the shoe expect a somewhat narrow fitting shoe with a high stack height that protects the heel well but doesn't lend itself to a tippy or unstable ride. The Hydrohesion rubber found on the outsole does a fantastic job gripping all surfaces but shines when the ground is wet. It is among the most lightweight that we have tested, and feels that way while running in it, while also not compromising at all in performance. If you want a light shoe that can truly tackle any terrain and doesn't have to be held in reserve for special days, this is an excellent choice. The new Summit Unknown in the foreground, with last year's Vazee Summit v2 in the background. While the patterning of the upper is obviously changed, by and large these shoes feel remarkably the same. The New Balance Summit Unknown are simultaneously light enough to be great for fast running and steep hills, and also protective enough for charging up and down on jagged rocks. They are one of the highest rated shoes int his review. The midsole of the Summit Unknown features New Balance's Rockstop protection, which is not exactly what we would describe as a rock plate, but still manages to dull the force of a blow from sharp rocks on the bottom of the feet. REVlite foam is also used throughout to give lightweight cushioning that doesn't feel as springy or bouncy as the foam found in the Altra Lone Peak 3.5, but never the less cushions the foot well while running. The rubberized "toe protect" bumper does an adequate job of protecting the toes, but is by no means a piece of hard plastic. The upper is made of lightweight, breathable mesh with interior reinforcements, but no longer has the large number of overlays that were present in the Vazee Summit v2. This shoe does a good job striking a balance between foot protection and sensitivity, although the scale is tipped a bit toward sensitivity. Testing the underfoot protection on a stack of sharp talus, we thought the Summit Unknown, with its small rockplate, did a good job of striking a balance between protection and sensitivity. We love the fact that the outsole of this shoe is made of one single piece of rubber with only tiny pieces cut out to aid in flexibility, a design that we have seen leads to greater wear time and longevity. The whole sole is covered in roughly 4mm deep lugs that are multi-directional and do a good job gripping soft dirt and grass, and also a fairly good job on dry talus. Where this shoe shines is when it is raining, or the running surface is wet, as the Hydrohesion rubber grips wet rock better than most. While it doesn't perform as well as the very aggressively lugged Saucony Peregrine 8, the traction on this shoe is guaranteed not to let you down. Showing the lugged traction of the Summit Unknown on the right, and for comparison the older version, the Vazee Summit v2, on the left. Quite obviously the shape of the last is changed to be wider through the midfoot of this newer shoe. With its interior sleeve-like tongue that wraps and cradles the entire foot, this is a shoe that effectively keeps the foot in place without having to be cranked down tight to do so. However, we found that its 10mm heel-toe drop means that the heel has quite a lot of foam underneath it, mildly adding to the sensation that we could roll an ankle while side-hilling or even going down steep hills. By no means is this shoe as unstable as the similarly designed Salomon Speedcross 4, yet it can't be denied that it is not as stable as the low riding Nike Air Zoom Terra Kiger 4. Despite its 10mm heel-toe drop, among the most in this review, we found this shoe to be pretty stable thanks in large part to the sleeve that wraps the foot comfortably and holds it in snuggly in place. The Unknown is a very comfortable shoe. The fit is long and narrow throughout, from the heel to the arch and on to the forefoot, so it may not be a good choice for those runners with wide feet. However, the upper is very flexible and not too confining, and we didn't experience any issues with our average width feet. Worth noting is that this shoe is available in Wide sizing as well as regular, so this may fix width related issues for those with wide feet. There is very little padding in the upper, but it truly fits like a glove. We had only the minor complaint that we felt a hint of pressure across the top of the tongue where the crease between our ankle and foot is, and so we knocked the score down slightly. We also noticed that the insoles like to slide around when they get wet. However, in the water bucket test the Summit Unknown scored impressively high. 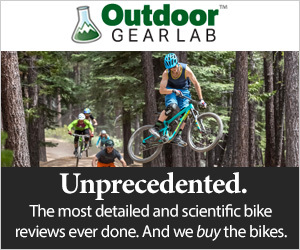 It was the third best at not absorbing too much water when submerged, and second only to the Salomon S/Lab Ultra at managing to shed water after only five minutes. If you need a shoe for wet conditions, this one makes an excellent choice. Reached the destination of Mirror Lake with Mt. Hood, OR, in the background, in the very comfortable yet still minimalist Summit Unknown. Our pair of size 11 shoes weighed in at 20.0 ounces, virtually the same weight as the far more cushioned New Balance Fresh Foam Gobi Trail v2. This was the third lightest shoe in this review, and out on the trail we certainly noticed a feeling of lightness that helped us glide to our best possible stride. At exactly 10 ounces per shoe, this is one of the lightest trail running shoes available today, and provides more protection than some of the even lighter ones. The Unknown is a very form fitting and precise shoe that is sensitive in the best kind of way. There is more trail feel in this shoe than the Nike Terra Kiger 4, although it wasn't as sensitive as the super thin zero-drop Topo Athletic Runventure 2. Since it offers a decent amount of underfoot protection but also a flexible, sensitive ride, you get the best of both worlds! These are one of the best shoes at protecting your feet from obstacles like sharp talus, while also allowing for great sensitive trail feel, a balance that we love! We enjoyed the Summit Unknown best for off-trail peak bagging missions that often involved a bit of scrambling thrown into the mix. However, this shoe is capable of handling any sort of trail running conditions and is ideally suited for wet weather or frequent stream crossings. Skipping across slippery rocks in the forests of Oregon, the hydrohesion rubber on the outsoles of these shoes did a great job keeping us upright. We loved the Summit Unknown for running on nearly any sort of terrain, a true do it all shoe. At $110 retail, this shoe now lives on the lower end of the spectrum, and since it is one of the higher scorers in this review, we think it makes a good value purchase. OK, so this wasn't on the trail, but we couldn't resist the opportunity for play on this giant log on the Pacific Coast of Oregon. The New Balance Summit Unknown is a very comfortable and light shoe that fills a similar niche as the Scarpa Spin. Despite its relatively high 10mm of heel-toe drop it is still fairly stable and is perhaps the lightest everyday, all-around trail shoe in this review. Lovers of the old Vazee Summit v2 or anyone who wants a quality shoe at a reasonable price are encouraged to check it out.